Home Fitness Weight Loss Is A High Protein Diet Effective For Weight Loss? For most healthy people a high protein diet is effective and safe when followed for a short period of time. Such diets help you to lose weight by making you feel fuller. High protein foods take more work to digest and metabolize which mean you burn more calories processing them. They also take longer to leave the stomach so you feel fuller sooner and for a longer time. Remember, Calories still Count. You have to make good choices when you have to pick your protein. 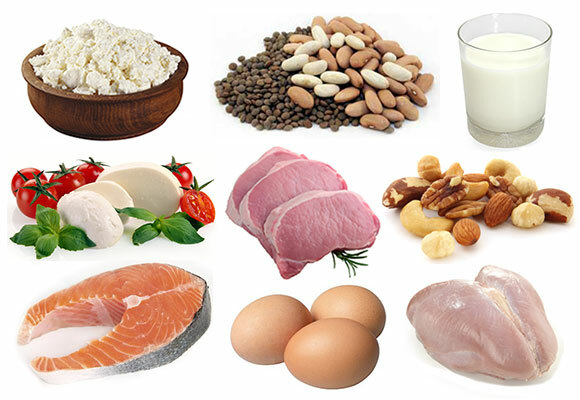 Choose protein sources that are low in saturated fat for a healthy and effective high protein diet for weight loss. The quality of carbohydrates you eat is important too. Cut processed carbohydrates from your diet and choose carbohydrates that are high in fibre and nutrient dense such as whole grains, fruits and vegetables. The majority of fruits and vegetables are low in fat, making them ideal to fill up without adding much calories to the diet. It is also important to cook protein sources in a healthy way to avoid adding excess fat and calories to the food. Good methods include, poaching, dry frying, grilling or roasting with little olive oil. To help manage your appetite it also helps to split your daily calories into 4 or 5 smaller meals or snacks. People with kidney disease, liver problem, diabetes, high Blood Pressure and chronic health conditions should avoid high protein diets. It is important to ensure that your High protein and low carbohydrate diet for Weight Loss simultaneously follows the principle of a Healthy Balanced Diet i.e. low in saturated fat, high in vitamins, minerals and fibers for optimal health and weight loss. Before starting high protein diet for weight loss, be sure to talk to your nutritionist to determine what approach is right for you.